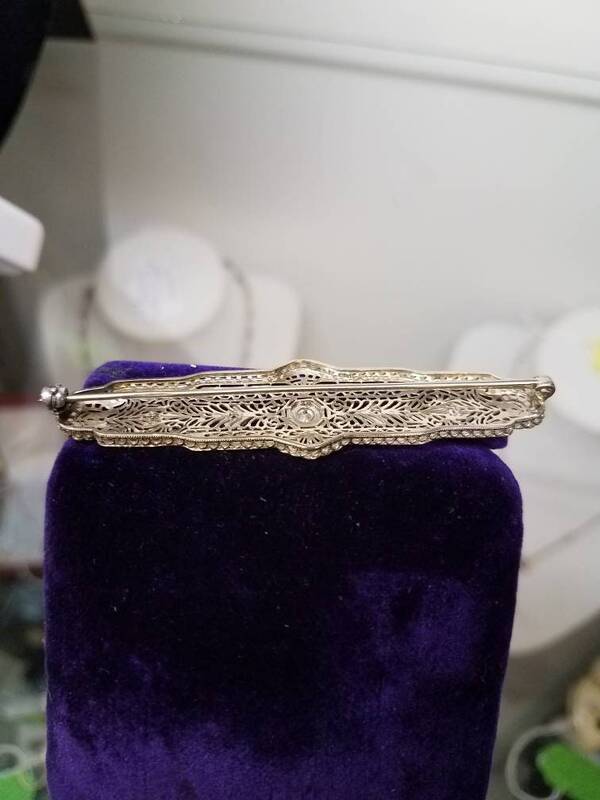 This Art Deco brooch is 14K white gold, most of it forming intricate filigree work. 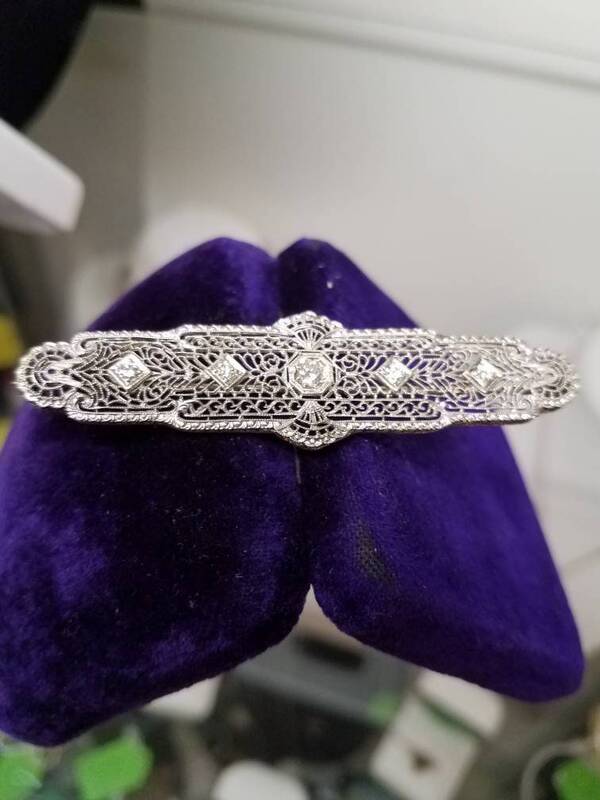 It features a center diamond, with two additional diamonds on either side for a total of ~30 points of diamonds. This brooch has a safety clasp and it works perfectly. Measurements for this piece are 69mm by 18mm.